The recent introduction of a Free Swing model has further enhanced the appeal of Samuel Heath’s Powermatic® controlled, concealed door closers and broadened the range of applications for which the door closers can be used. Powermatic®door closers are enjoying increasing popularity in both private and public sectors of the building industry thanks to their outstanding performance characteristics and the many benefits they deliver by being totally invisible when the door is closed. From a performance perspective, both original and Free Swing versions of the door closer comply with relevant fire performance standards and enable doors to comply with accessibility requirements. Designed and manufactured in the United Kingdom under processes and systems that comply with BS EN 9001, both door closers comply with BS EN 1154, whilst Powermatic® Free Swing also meets the requirements of BS EN 1155, thereby allowing the closers to carry the CE mark. Designers have long-admired Powermatic®’s ability to retain a clean, unhindered appearance to the door, without intrusion from the unsightly boxes and mechanical arms which are an unavoidable feature of surface mounted door closers. In commercial situations, such as hotels, restaurants, apartments and offices, the appeal is, more often than not, purely one of looks. However, in clinical applications, particularly psychiatric units, mental health facilities and care homes, enhanced aesthetics can deliver some very real, practical benefits in improving the well-being of patients and residents by creating a more homely, less institutionalised environment. Many buildings are susceptible to vandalism, particularly schools, social housing, healthcare facilities and other public buildings where the users’ duty of care may not be as high, or where constant supervision is impractical. A damaged door closer not only increases maintenance costs, but can also have dire consequences for a building’s occupants if it prevents a fire door from performing its intended function. Invisible when the door is closed, Powermatic offers less of a target for the vandal or would-be prankster. Even when the door is open, the fact that Powermatic®’s major mechanical parts are concealed within the door, or their exposure is limited, means that the door closer reduces the likelihood of damage through vandalism. Powermatic® is the perfect choice where anti-ligature and anti-barricade measures need to be taken. It is particularly well-suited for use with continuous hinges. 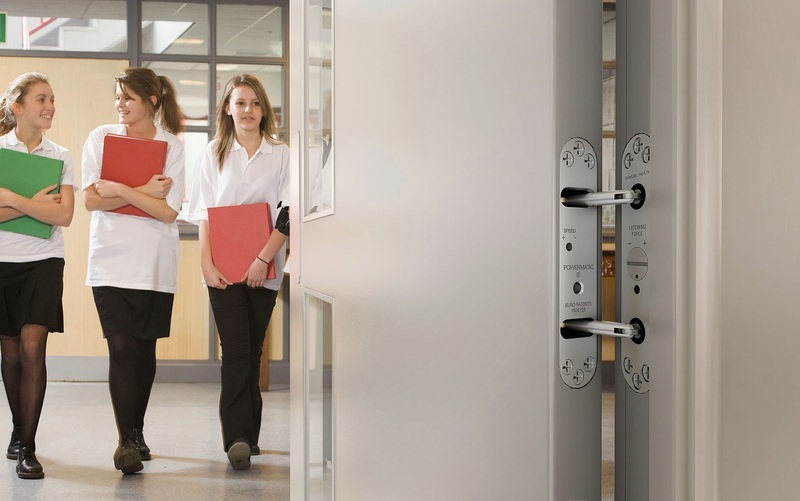 The risk of ligature can be present in any door installation that is not constantly monitored, whether in psychiatric facilities and secure accommodation or even schools and other educational establishments. Powermatic®’s total concealment, as well as the absence of surface mounted control arms and boxes, obviously mean that when the door is closed, the door closer is out of sight and cannot be used as a point of ligature. Additionally, Powermatic® can be installed within 300mm of the bottom of the door, a height at which harm through ligature is considered impossible in most circumstances. Powermatic® is also recommended for use in anti-barricade systems, which prevents a patient locking themselves, and others, in a room. Where hygiene is a consideration, the absence of significant horizontal surfaces presented by Powermatic® minimises exposure to germs and detritus, whilst its low mounting height makes it easier to reach, enhancing hygiene and simplifying cleaning. It is these advantages that have made Powermatic® controlled, concealed door closer so popular across all sectors of the building industry, including social housing schools, hospitals, secure units, care homes, hotel, leisure and commercial developments. 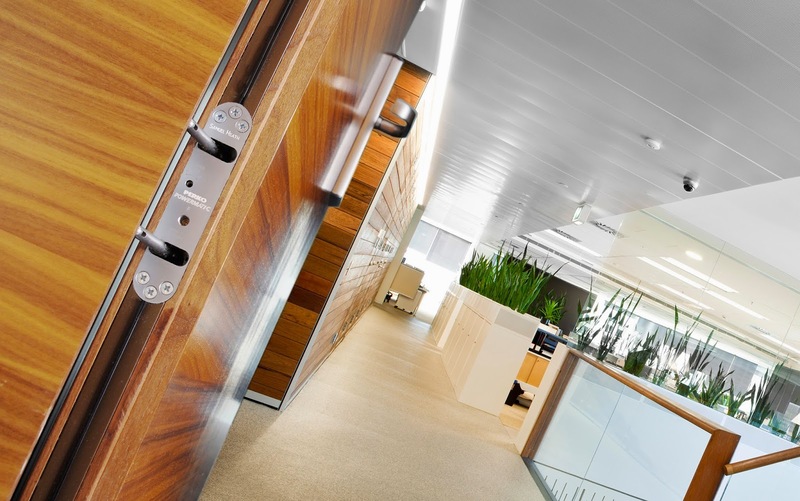 Used in conjunction with a concealed hinge arrangement, both Powermatic® and Powermatic® Free Swing make the ideal door specification for those wishing to reap the rewards of hidden hardware. For the doorset manufacturer, both door closers allow doors to be shown to their fullest potential. They are easily accommodated within standard routing procedures, not only offering the potential to satisfy discerning specifications, but also to extend the manufacturer’s product ranges into new areas of application. Samuel Heath also manufactures a comprehensive range of door and window fittings at its Birmingham factory, exacting precise control over production and finish to assure quality of the finished product. Further information on product selection and application can be obtained from Samuel Heath on 0121 766 4200 or at www.perko-powermatic.co.uk .